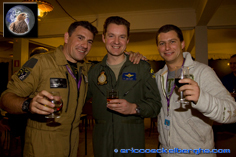 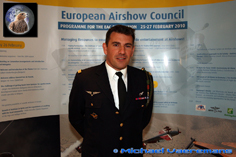 Each year in February ,all the players in the big European Airshow Scene will travel to the Belgian city of Hasselt to attend the annual European Airshow Convention. 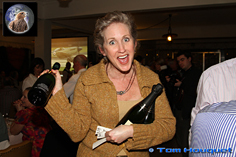 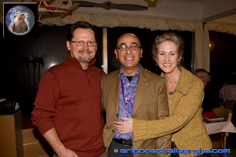 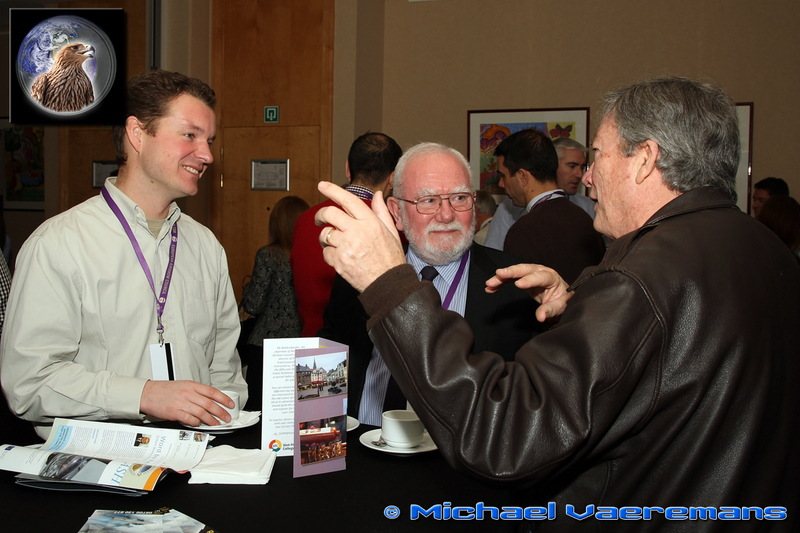 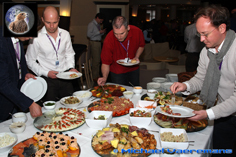 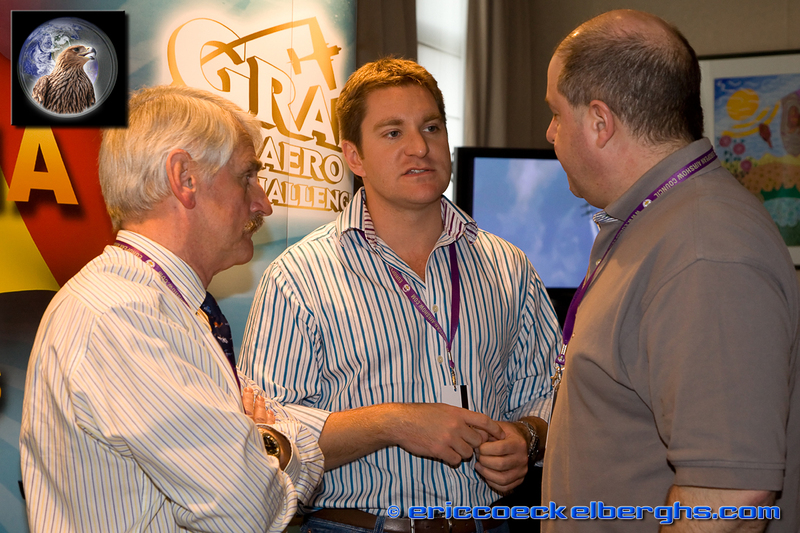 Every year more people register for this unique opportunity to network and meet each other. 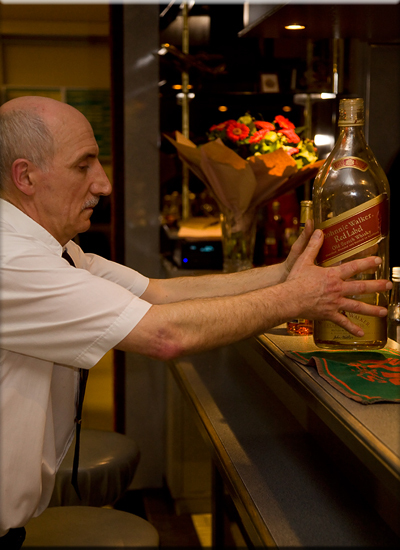 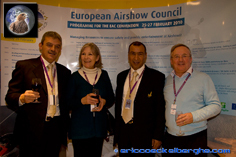 Every year more guests fly in from not only the European countries, but even from the USA, Russia and South Africa! 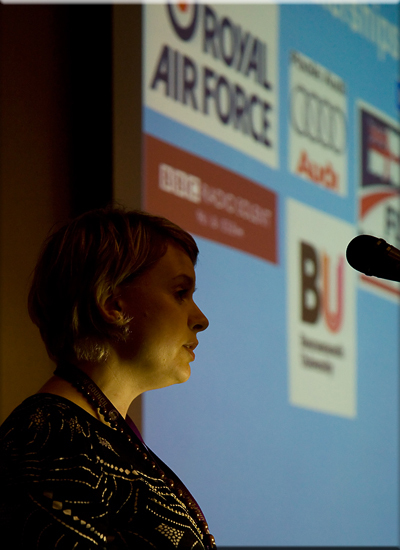 The representatives from big airshow venues, Airforces, performes and media came from 26 different countries, highlighting the importance of the EAC as an organisation. If you have anything to do with airshows, no matter how small your involvement is, this is the place where you have to be! 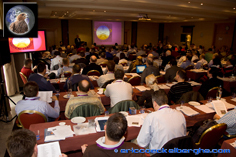 In just 10 years time, the convention has become thé 'must attend' event for simply everyone in this international scene. 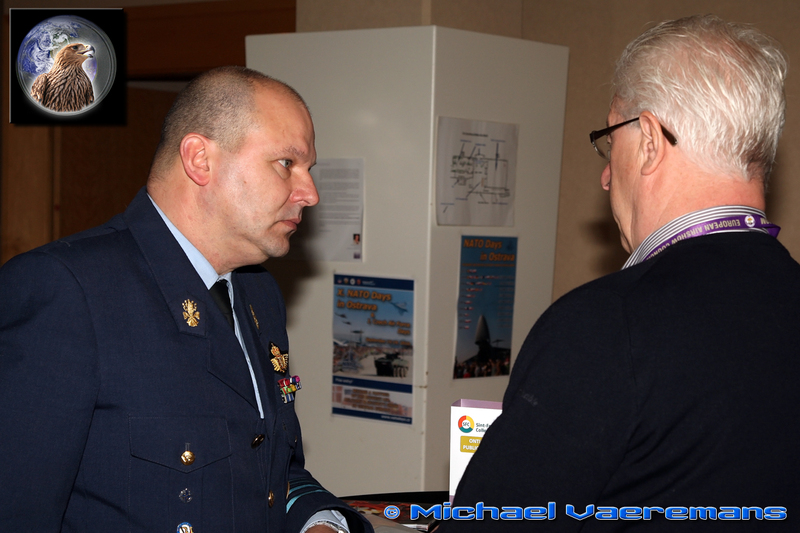 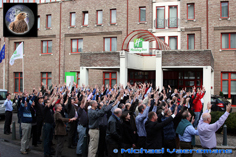 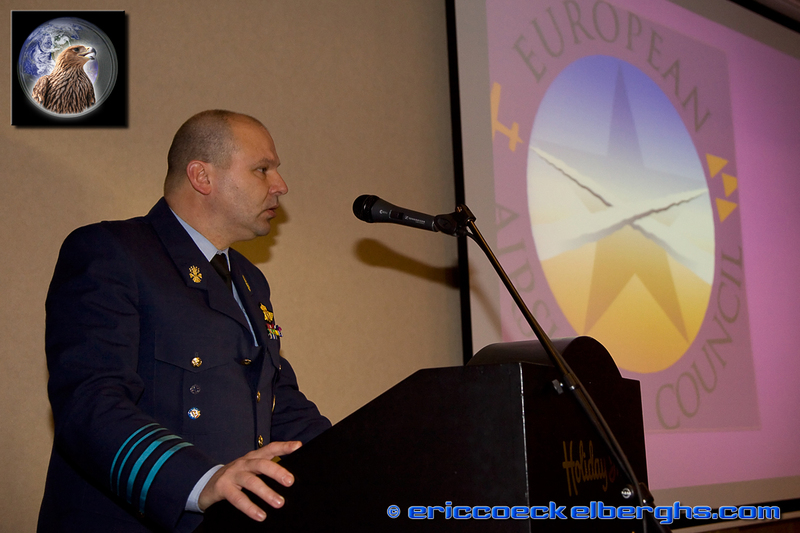 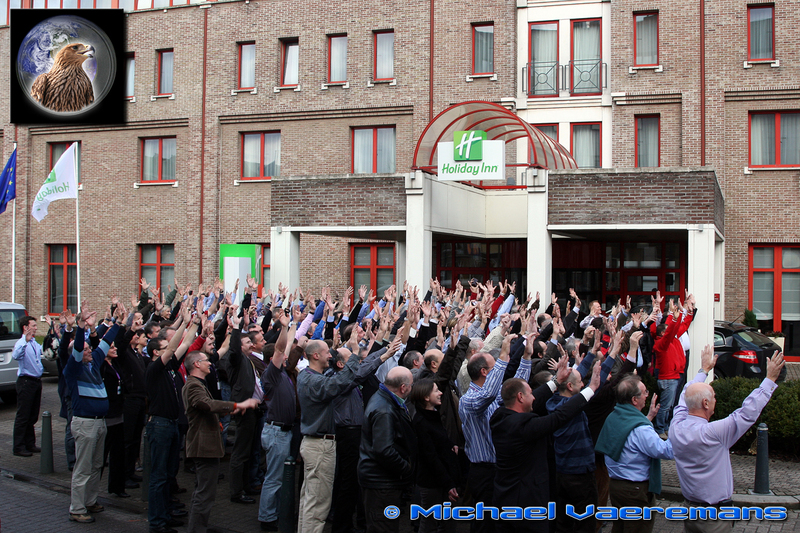 General Claude van de Voorde kicked of the first day of the main convention with a challenging speech. 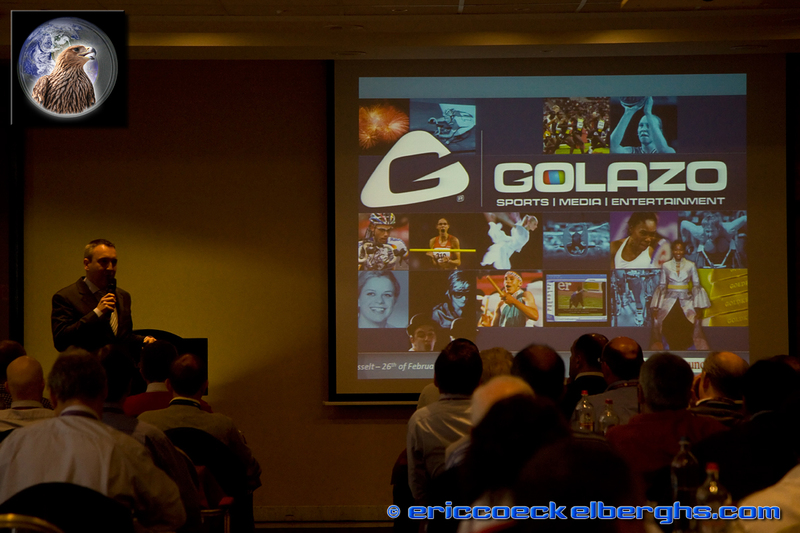 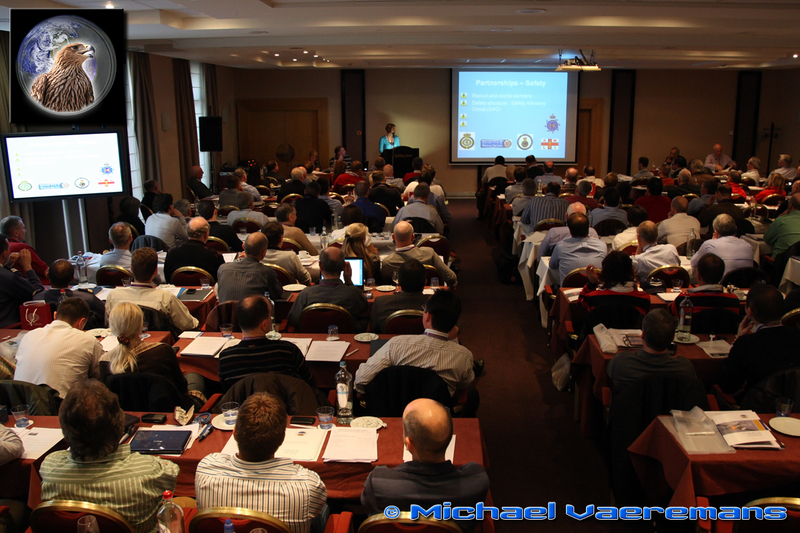 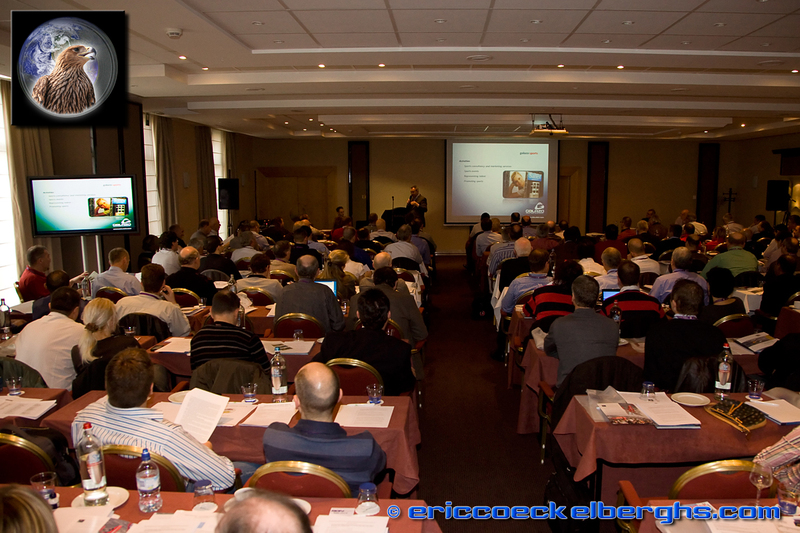 During the remainder of the day, the delegates were treated with a number of highly inspiring presentations. 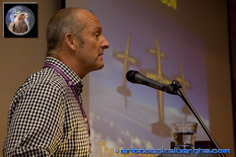 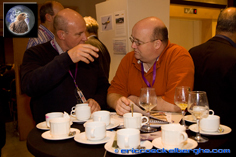 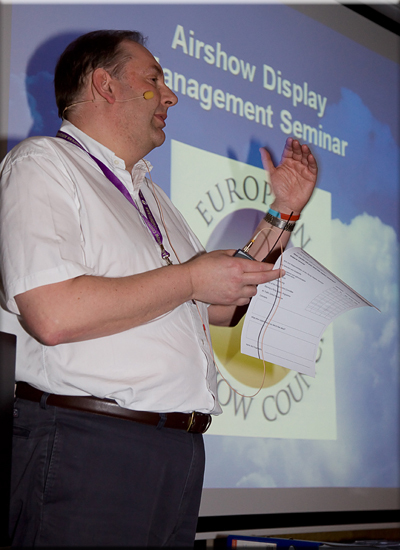 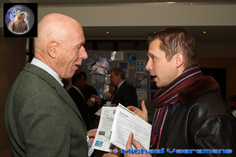 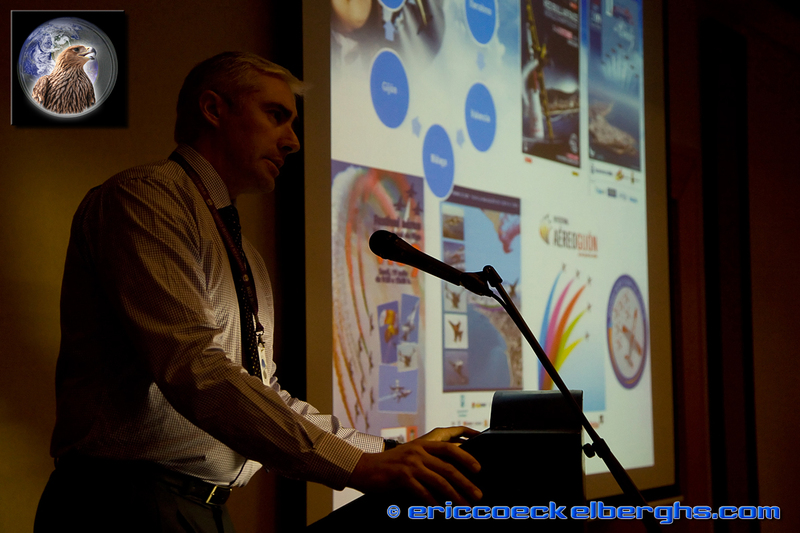 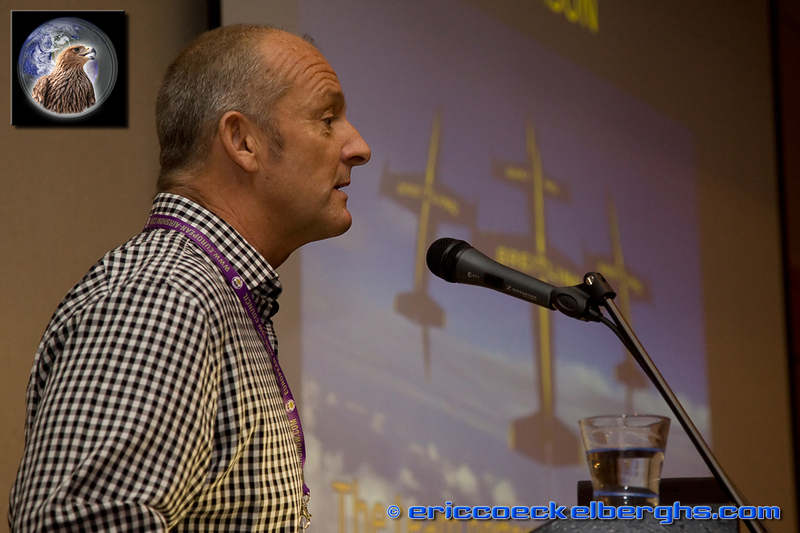 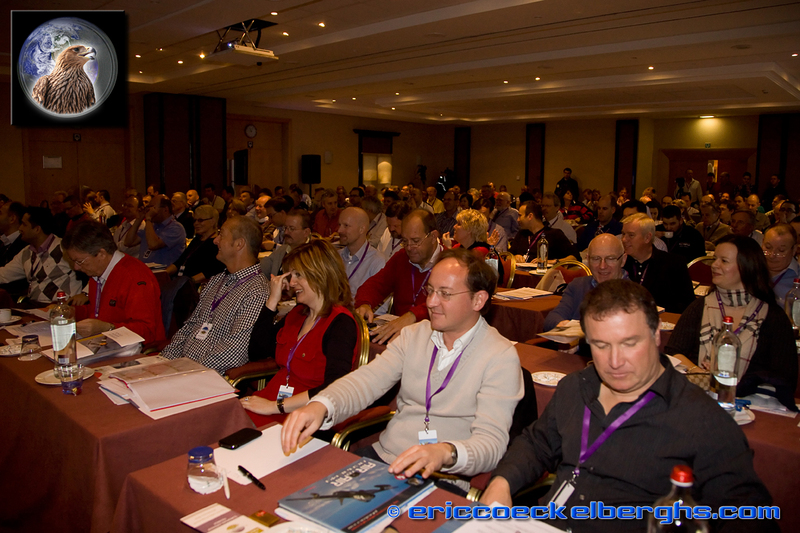 Jorgen van Hellemond focused upon the potential of airshows from a promotional & sponsorship perspective. 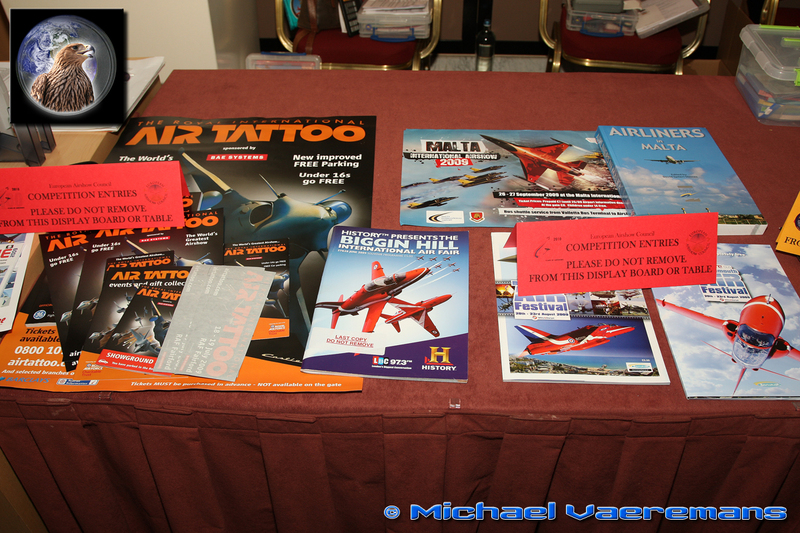 Being different from many other events, airshows do have a great potential. 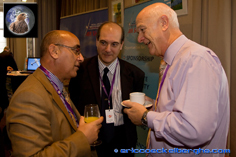 The coffeebreaks are by no means a dull period, as these are the moments were delegates meet, were agreements are made, performers are booked and new friendships are build. 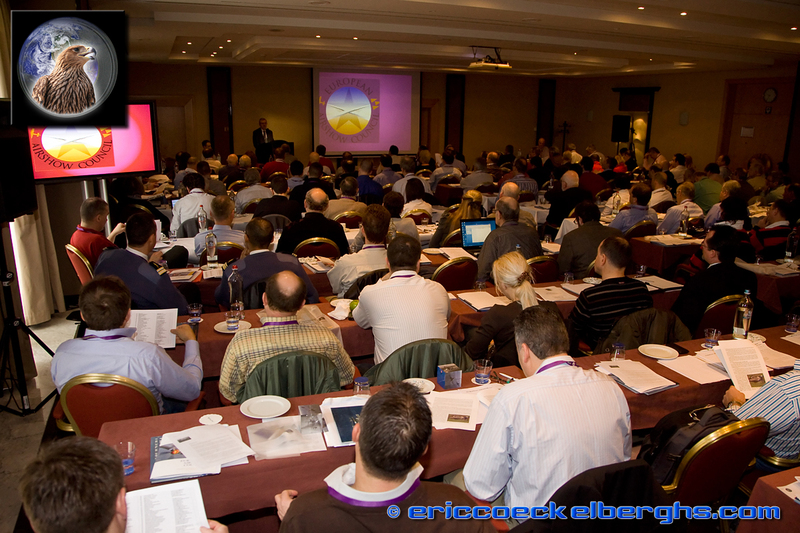 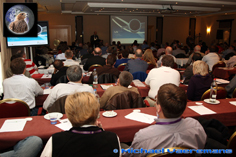 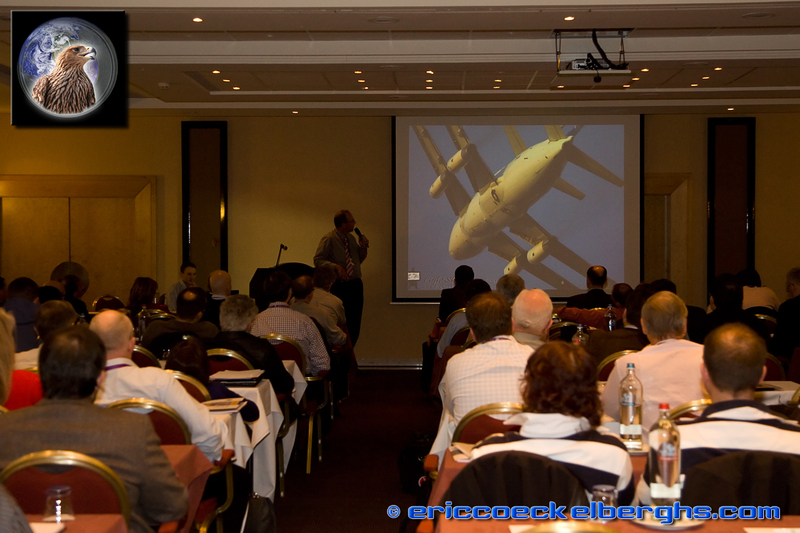 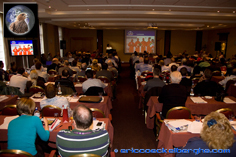 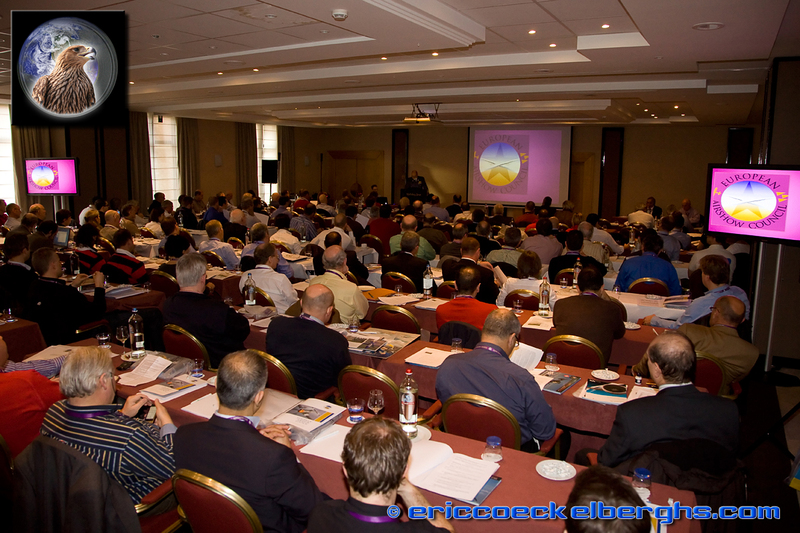 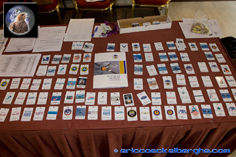 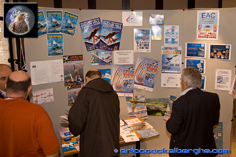 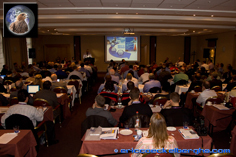 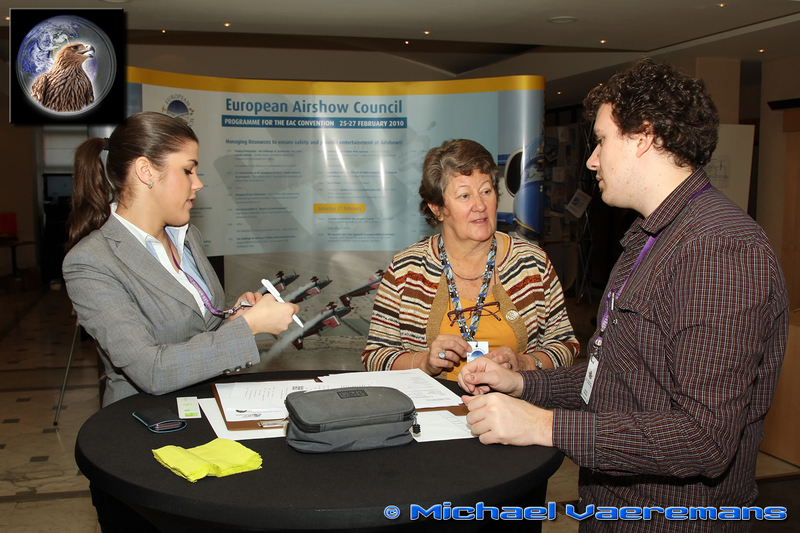 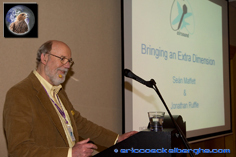 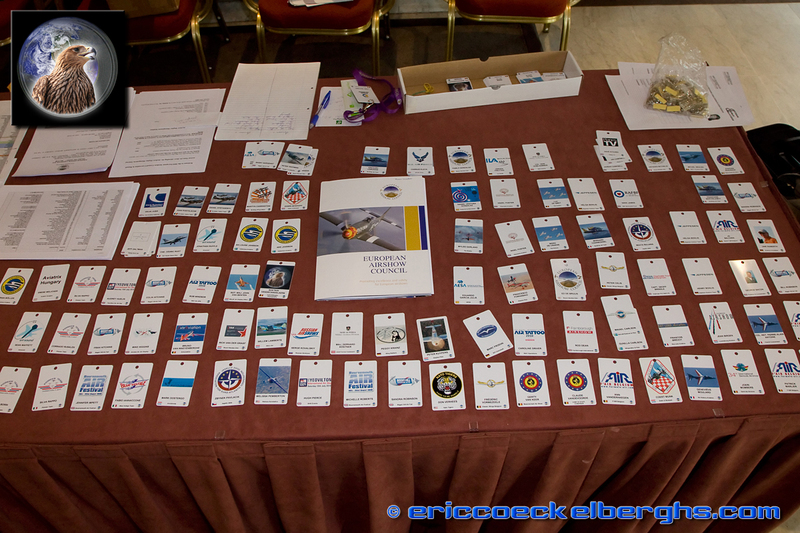 If you want to fly your aircraft at one of the many European aerial events, you better be there. 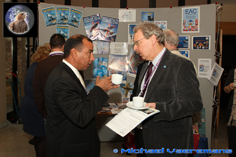 The EAC Convention is the place were many great deals between organiser and performers are concluded....both civilian and military! 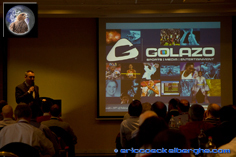 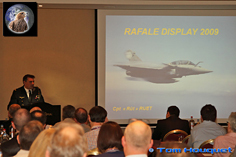 On a related topic we learned how airshows are addressed in Spain, also from Pablo Gonzalez presentation the PR potential of an airshow appeared. 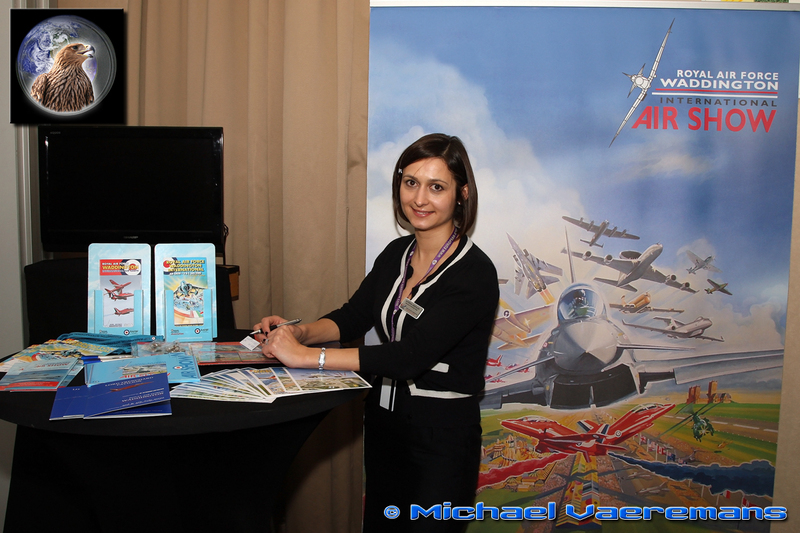 Michele and Jenifer showed how the Bournemouth seaside airshow became the driver for a festival that now involves the entire city of Bournemouth. 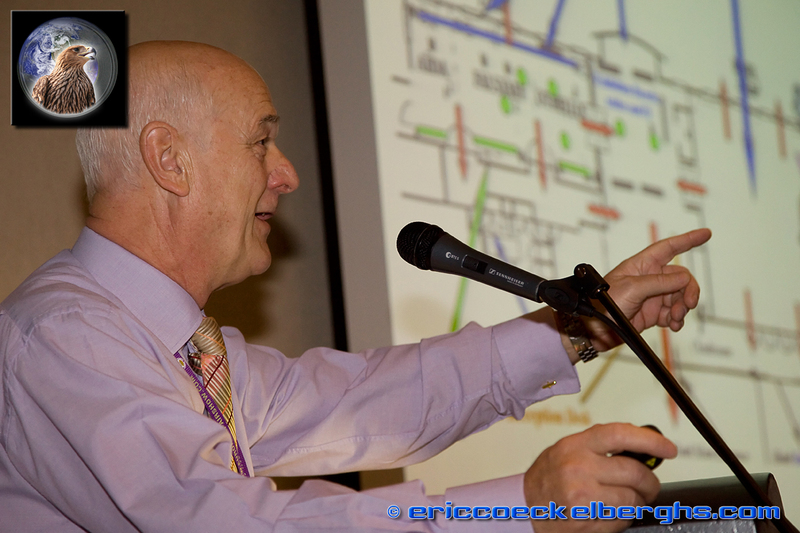 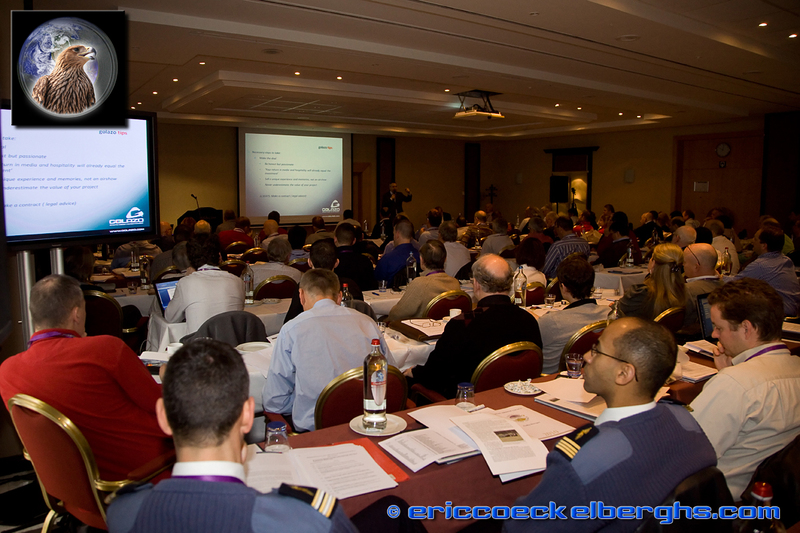 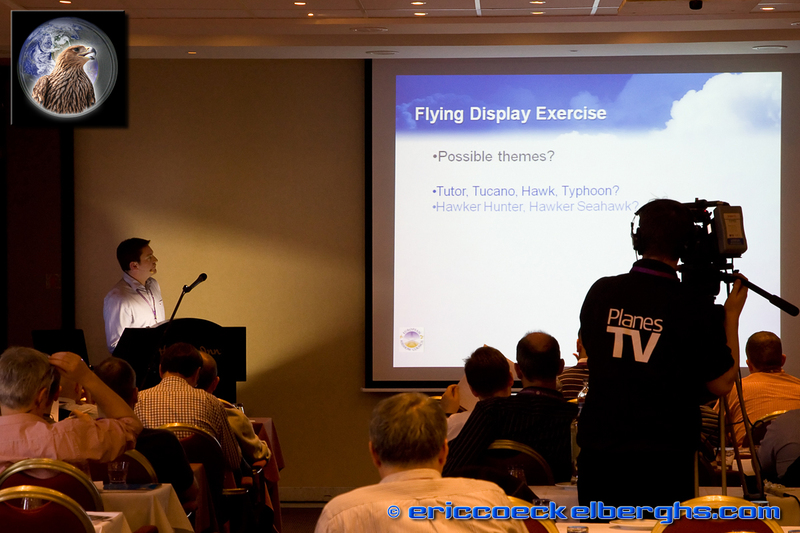 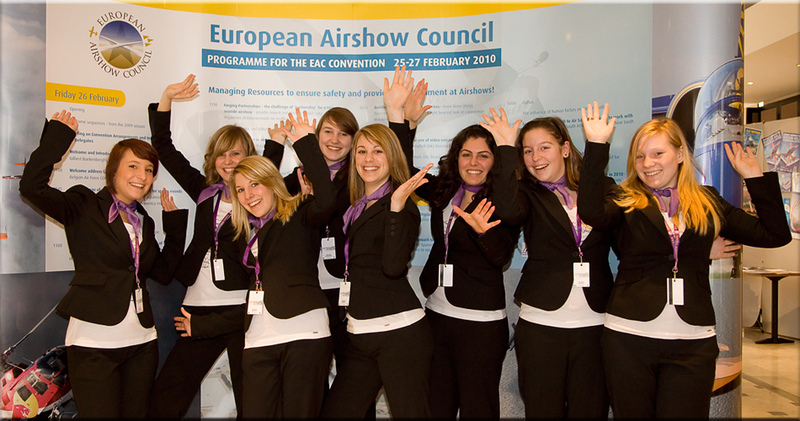 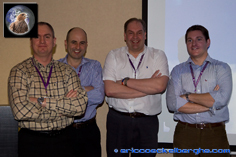 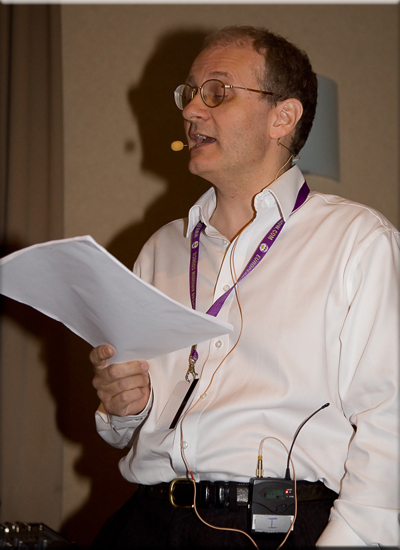 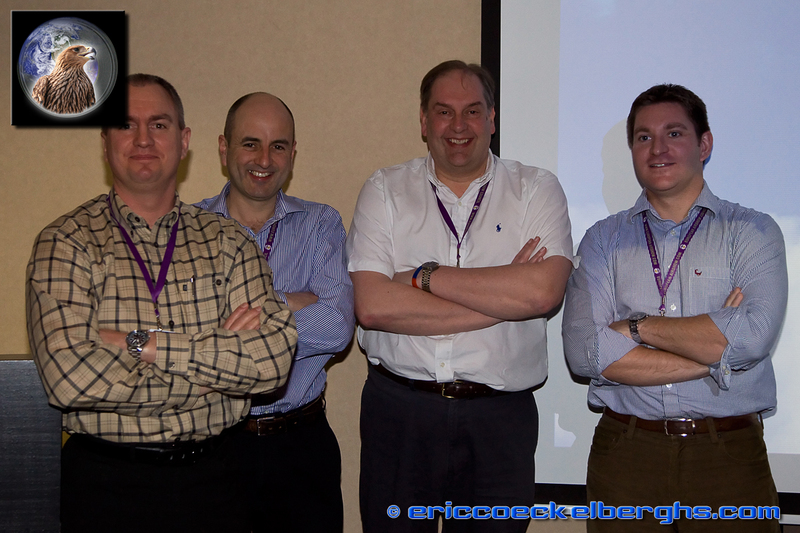 Presentations by Tim, Sean, Jonathan and Uwe ( some of the best European airshow commentators ) elaborated upon the various roles a commentator can play for an airshow organizer and also touched upon ways to involve your participants in means to attract spectators. 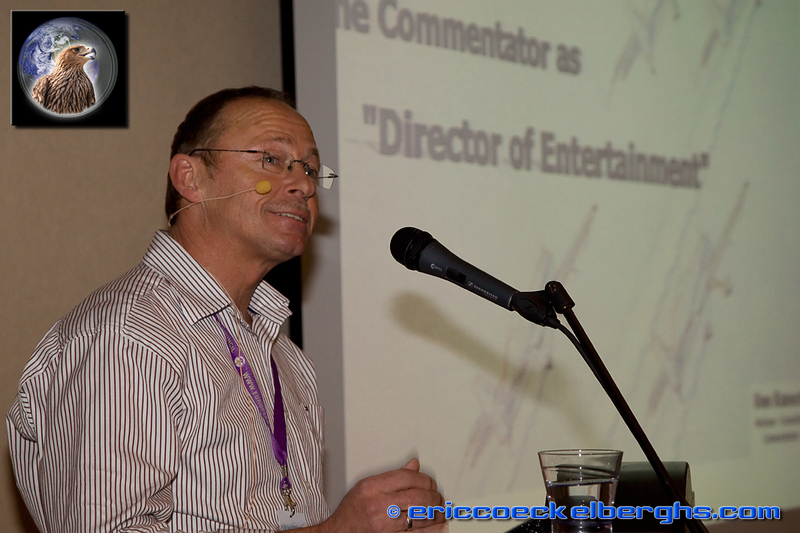 Knowing that the vast majority of the spectators are actually non-airshow enthousiasts, the commentators can add a dimension to the air event. 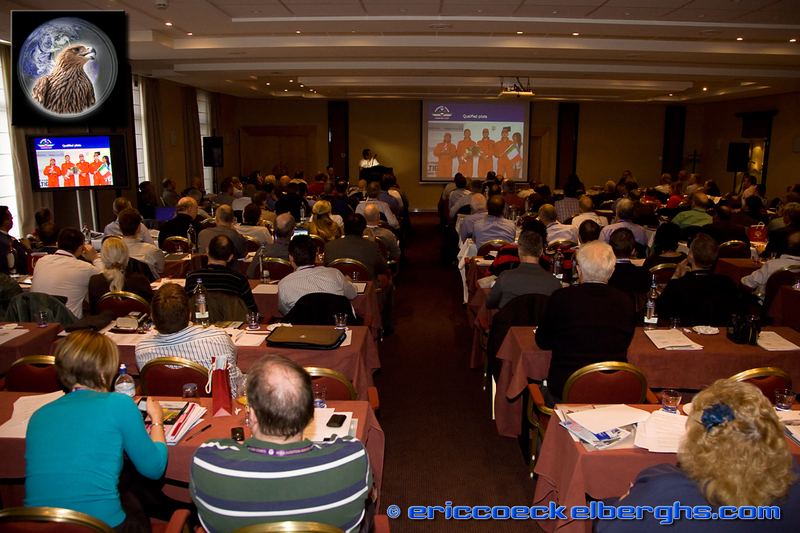 Finally Jacques Bothelin and Franc Borin provided us with some insights into operating a civil aerobatic team, big ( Breitling Jet Team ) ....and small ( Pioneer Team ) , and treated us with spectacular footage! 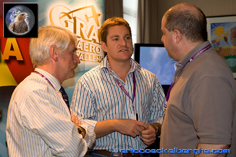 Ian and David from Planes TV showed us why it is worthwhile to have good video footage on your airshow. 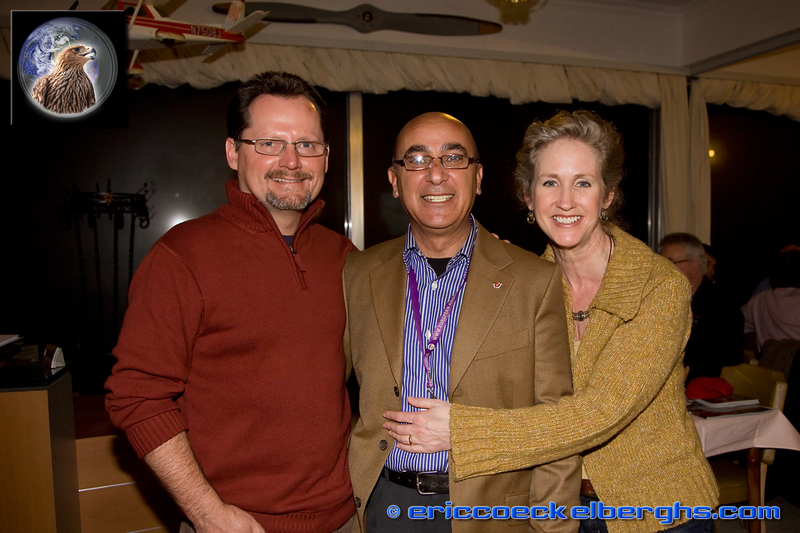 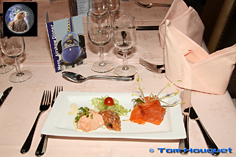 All these presentations provided us with sufficient stuff to discuss during the classic Aviation Dinner at the Sanicole clubhouse. 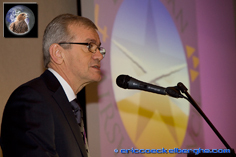 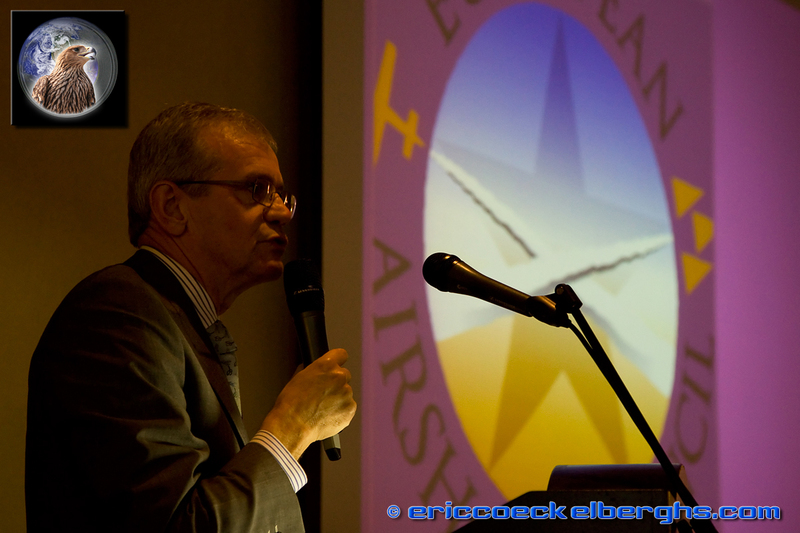 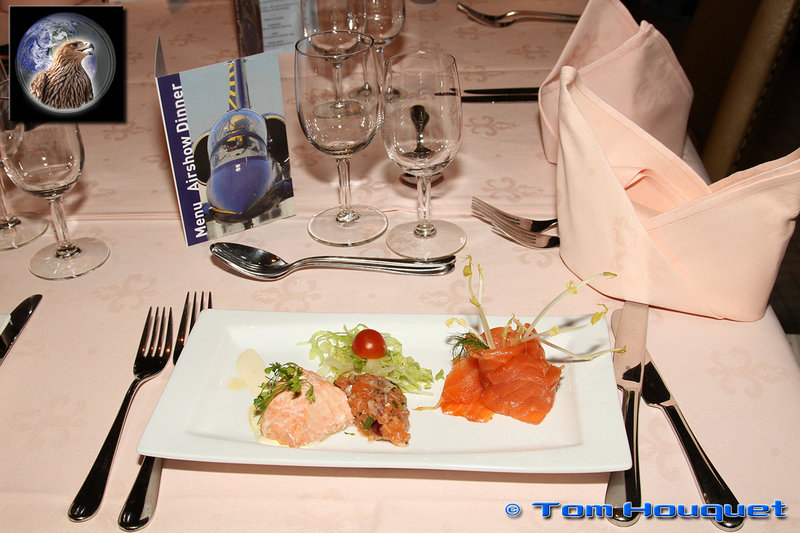 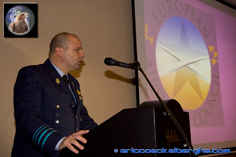 The Aviation Dinner is also traditionally the venue for the annual EAC award ceremony. 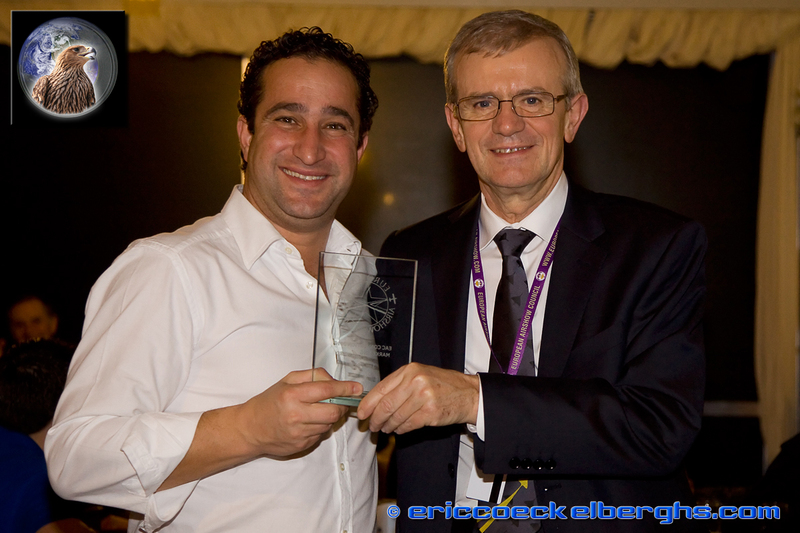 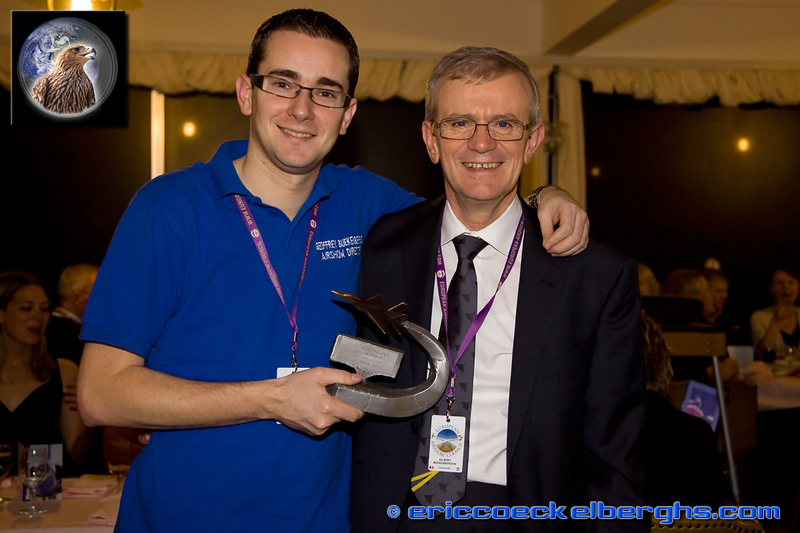 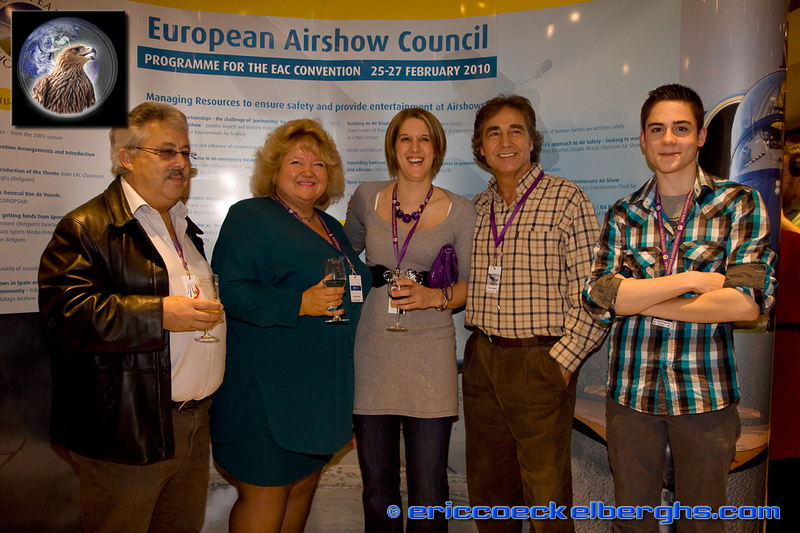 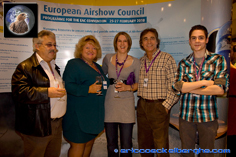 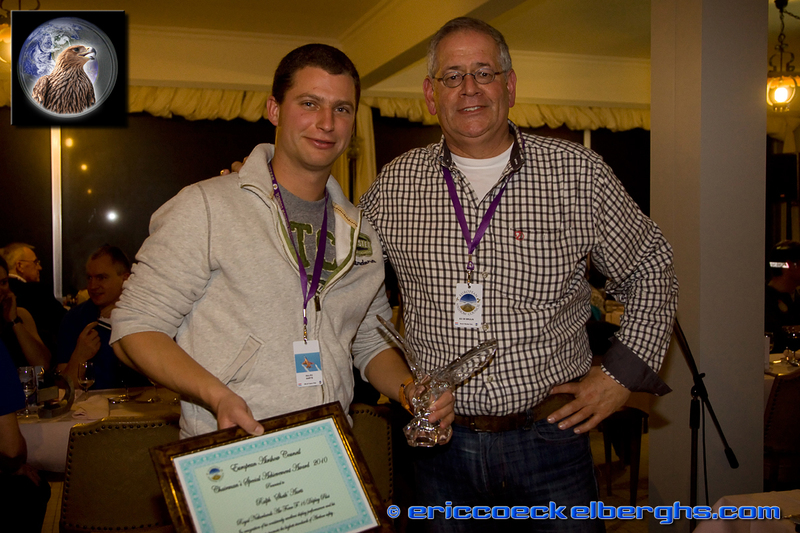 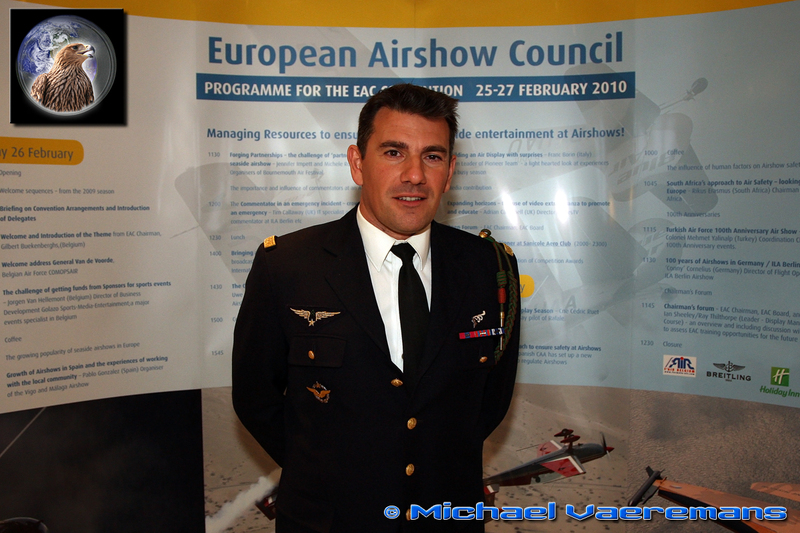 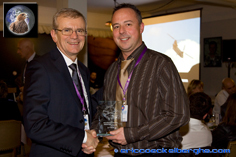 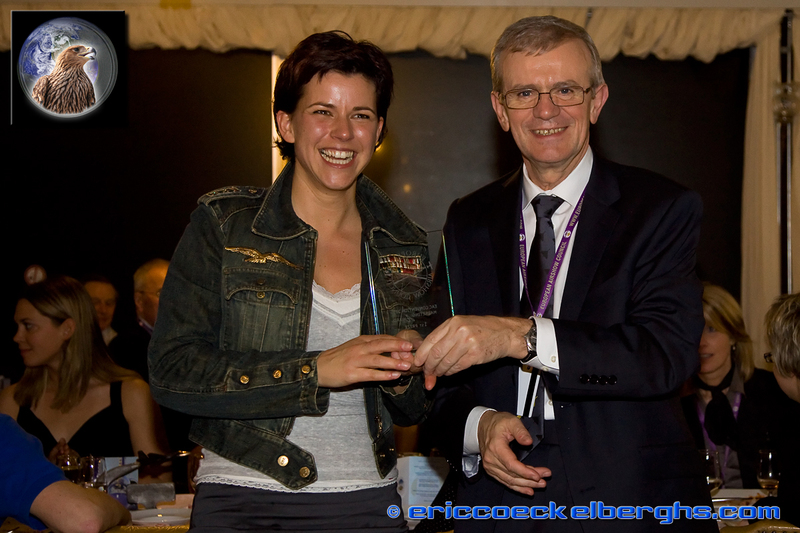 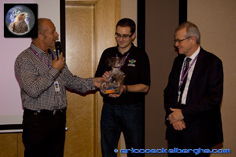 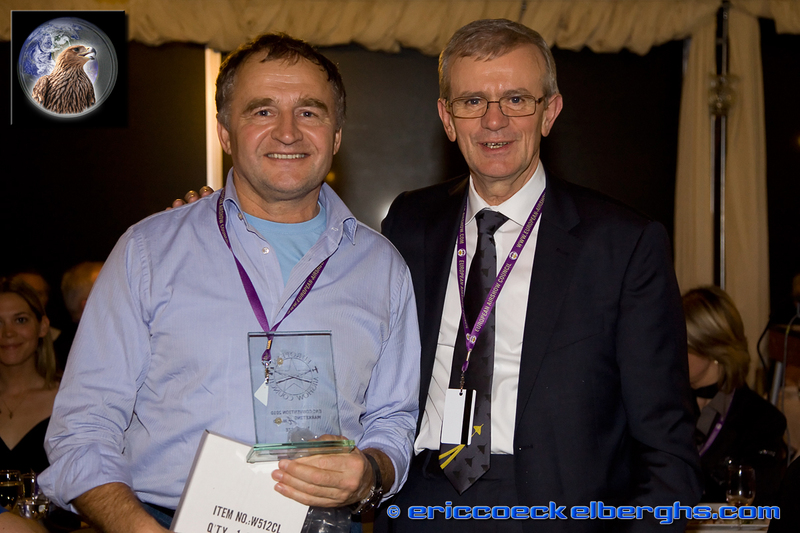 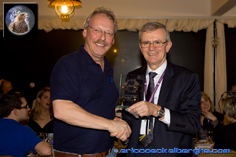 The Paul Bowen Trophy for Best European Airshow went to the Sanicole Airshow, while Ralph “Sheik” Aerts received the Chairmans award out of the hands of Gilbert. In the media & marketing competition for best PR awards for performers were presented to Peggy Krainz and Mellissa Pemberton, but the Italian Pioneer Team took the big prize! 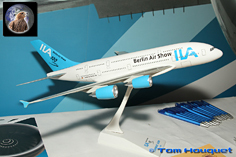 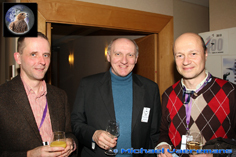 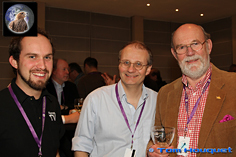 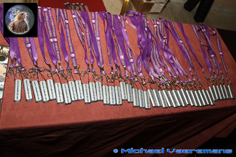 From the organizers side FAI Elite and ILA Berlin were awarded. 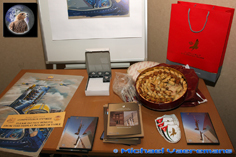 The first prize was won by the International Airshow Romania. Saturdaymorning is traditionally opened by a presentation of a jetfighter demopilot and his reviews, this year the honour was for “Rut”, the French Rafale demonstration pilot who evaluated his first displayseason. 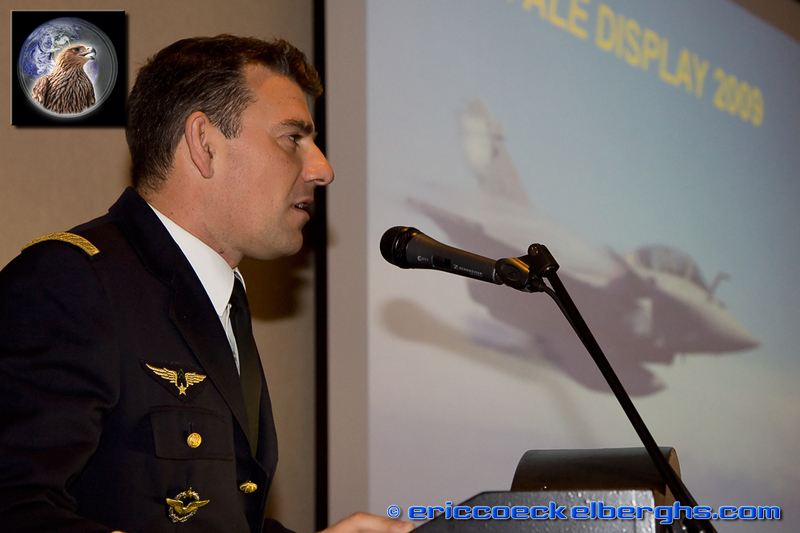 He showed the delegates without any doubt the best video footage of the convention, filmed from the cockpit during display...a superb adrenaline rush. 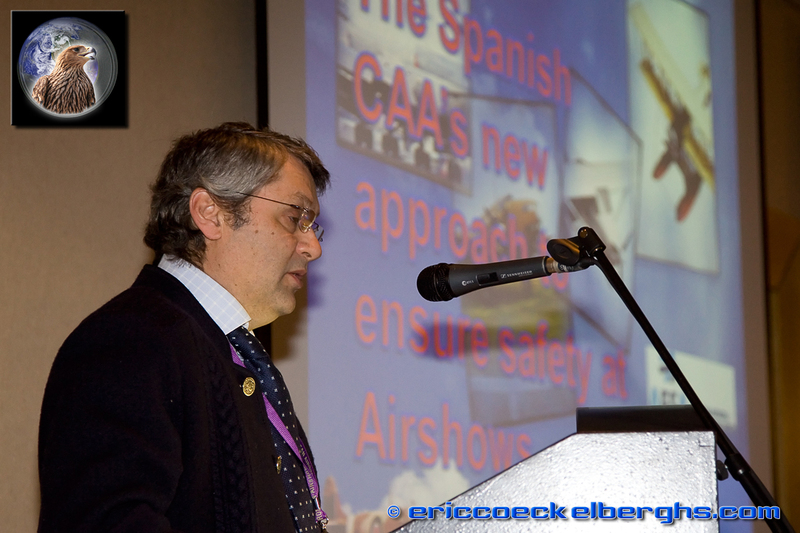 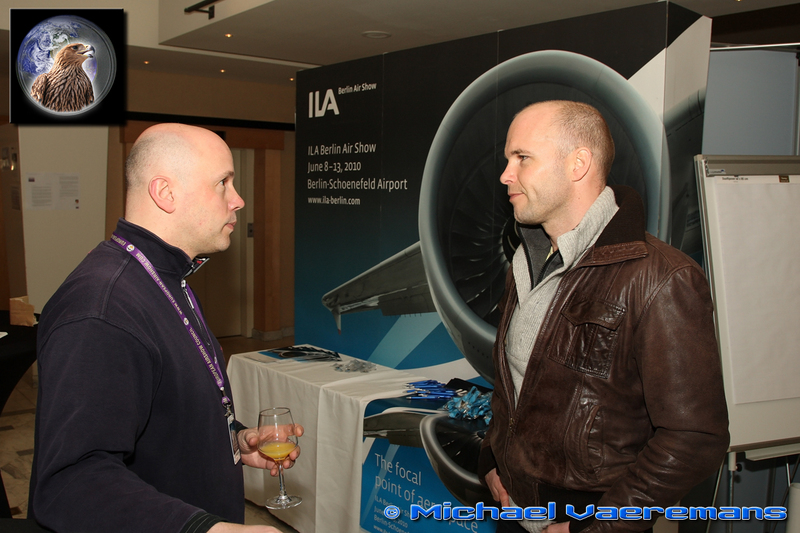 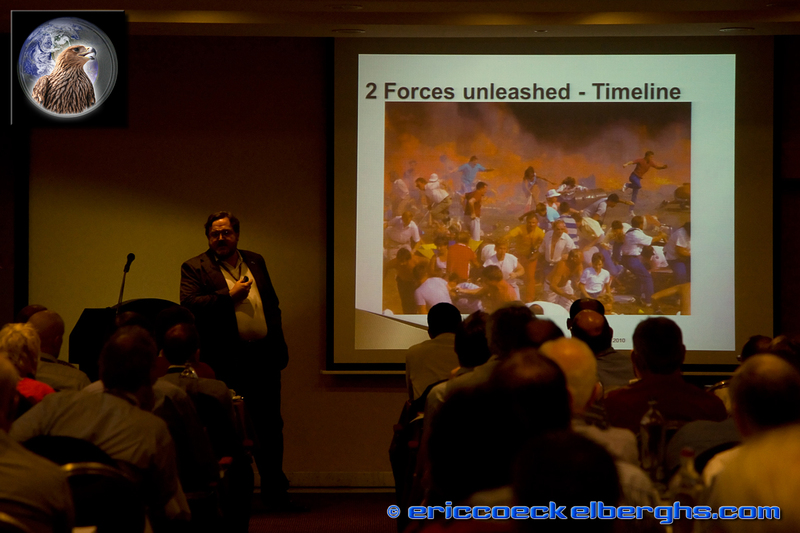 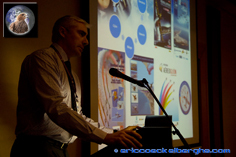 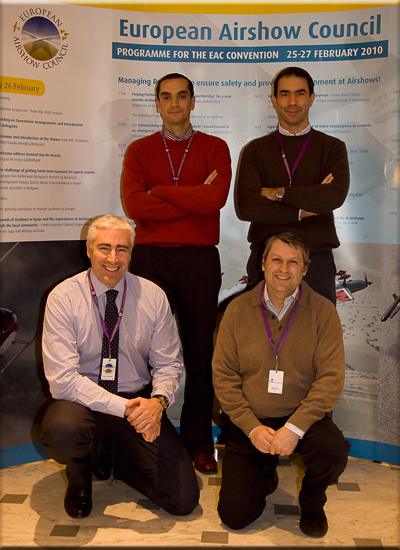 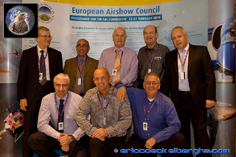 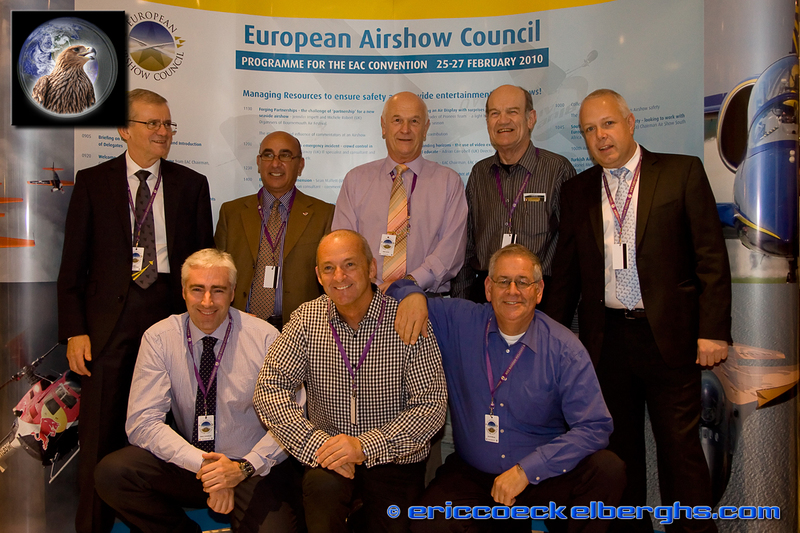 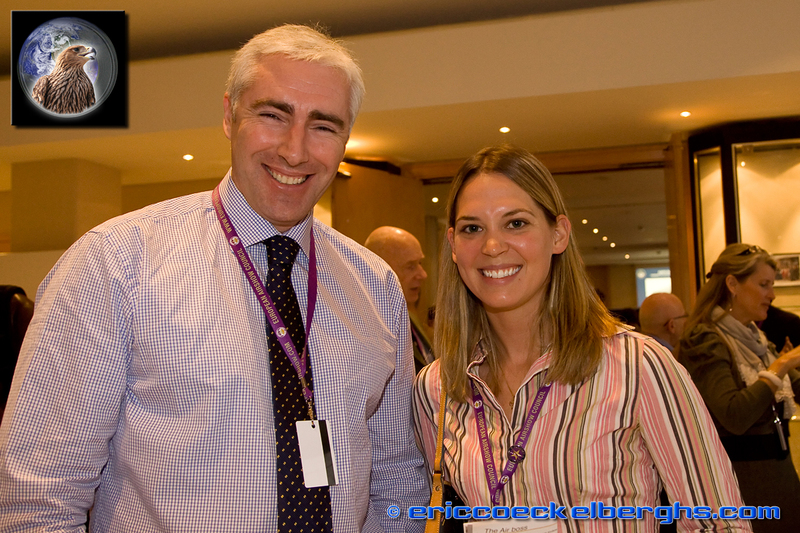 Eduardo Julia from the Spanish CAA highlighted the new approach to ensure safety at airshows. 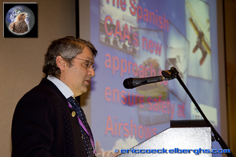 All the way from South Africa Rikus Erasmus presented South Africa's approach to Air safety and it's intention to work closely with ICAS and EAC. 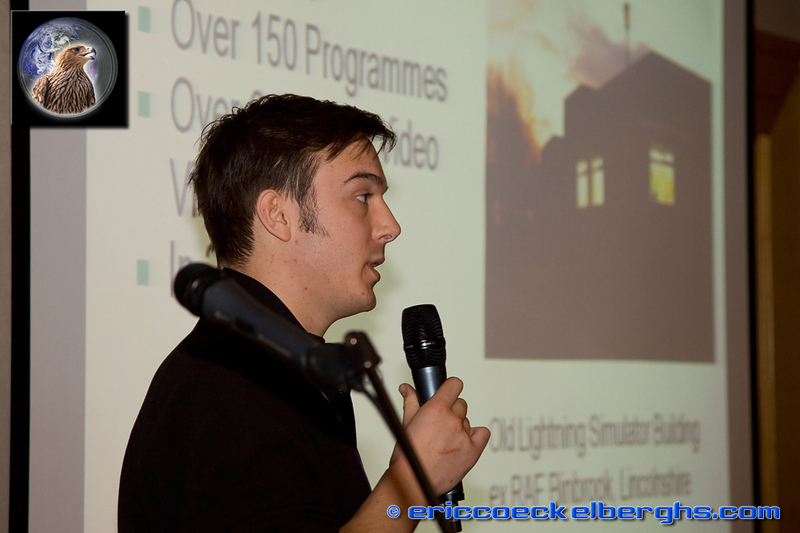 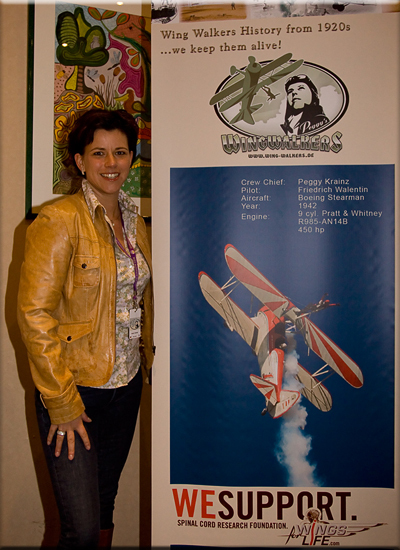 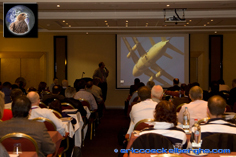 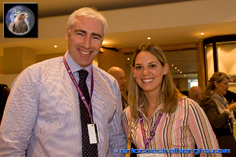 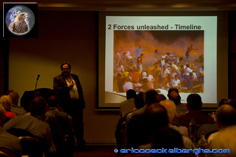 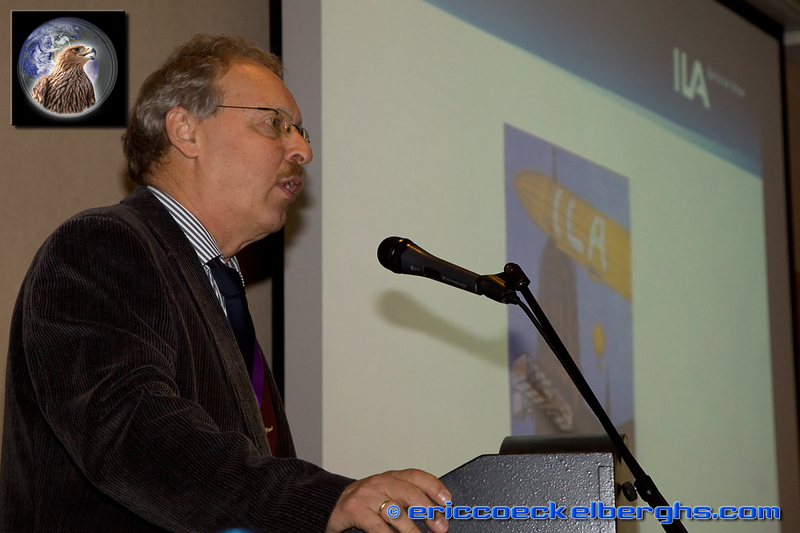 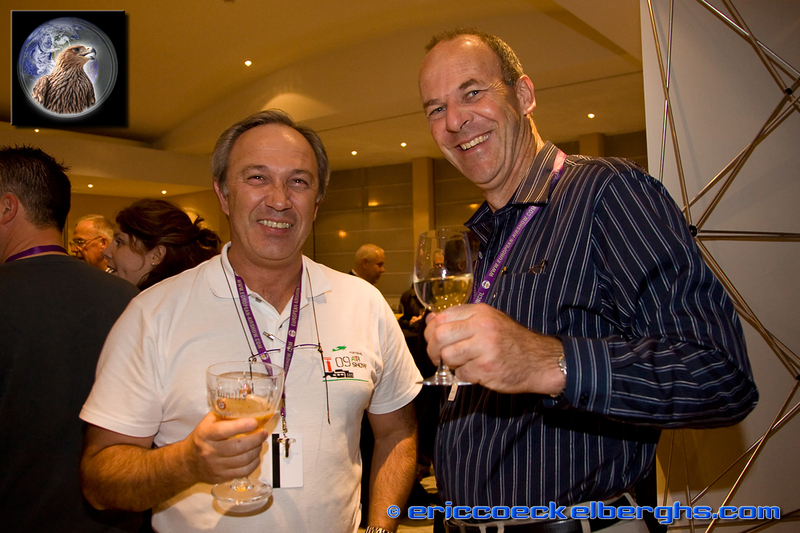 The last presentations of the 2010 convention were a look into two different “100 years of aviation events” ; in this airshowseason ILA Berlin will celebrate 100 years of aviation in Germany, as we learned from their Director of Flight Operations 'Conny' Cornelius. 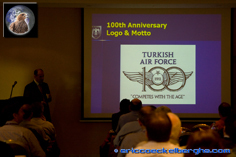 But perhaps the most interesting new celebration to look forward to is in a country not wellknown for airshows.....Turkey. 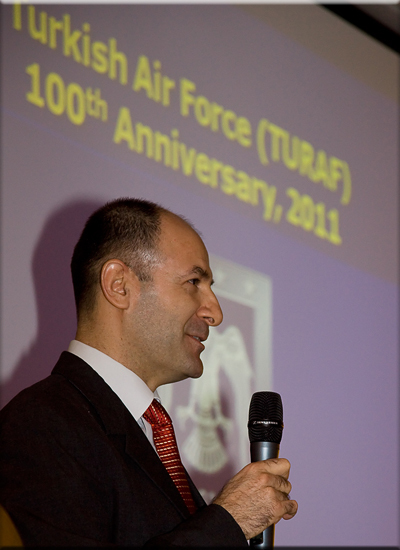 Colonel Mehmet Yalinalp gave the delegates a unique inside look to the plans of the Turkish Airforce to celebrate their centennial of flight in style: Izmir will become in 2011 the location of perhaps the biggest European Airshow in a long time! 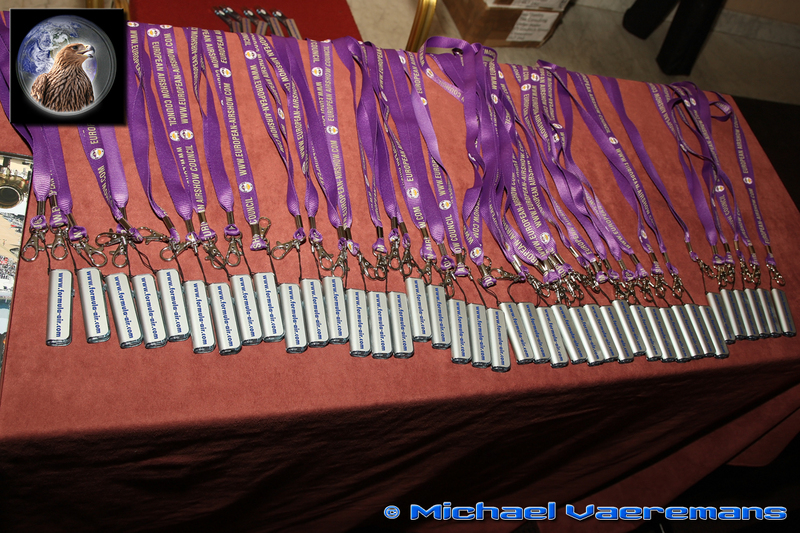 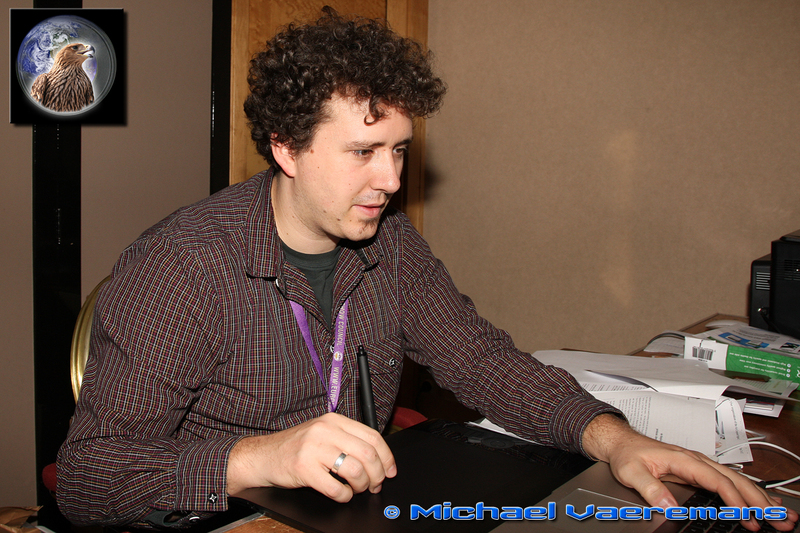 Our PhotoCrew would like to thank all the delegates for the very warm welcome, as for some of our crew this was their first convention. 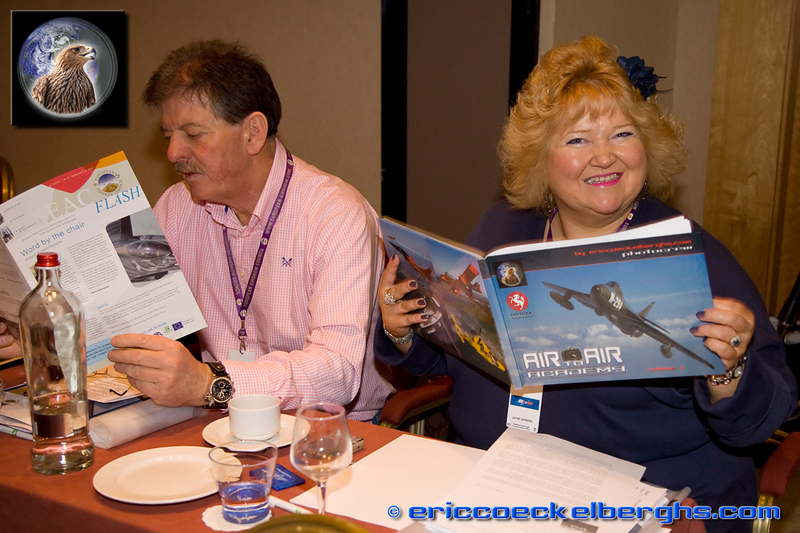 Many thanks for the enthousiatic reactions and congratulations on our new photobook. 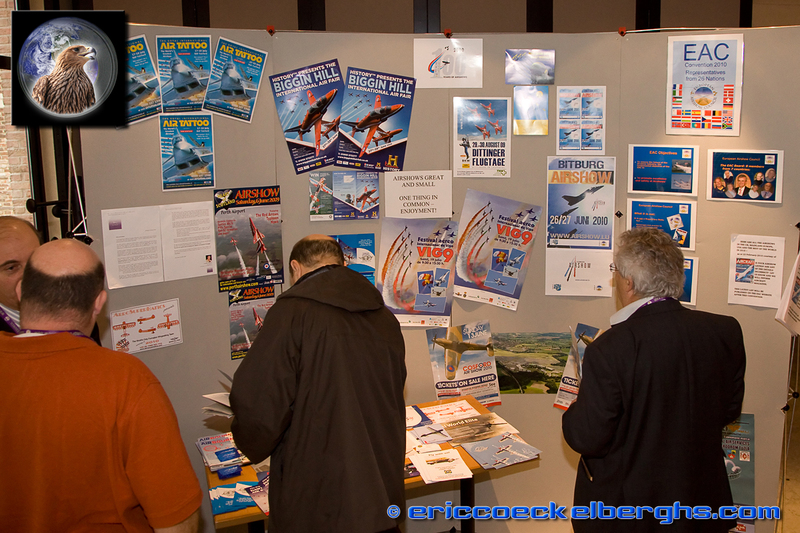 We hope to meet many of you again during the airshowseason, and of course we are looking absolutely forward to the incredible new photoflying opportunities offered to us by many of the delegates.